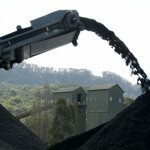 LakeCoal applies for Lake Macquarie coal exploration (0) July 9, 2013 The union for Hunter Valley coal miners said an application for a new coal exploration lease in Lake Macquarie, is ‘a matter of importance’ for the area. Protestors line up to stop Whitehaven’s Maules Creek mine (0) July 8, 2013 Protestors have formed a picket line at Whitehaven Coal’s Maules Creek mine development, vowing to continue their fight against the project that received final approval last week. 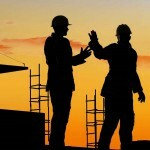 WA job ads down as mining slumps (0) July 8, 2013 There has been a decline in job advertisements for the fourth month in a row and Western Australia has been hit hardest. 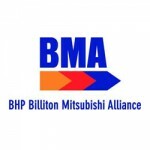 We plan to move more of our own dirt: BMA (0) July 8, 2013 BHP Billiton Mitsubishi Alliance asset president Stephen Dumble said the company is committed to a future in Central Queensland, but indicated cost cutting measures would continue. 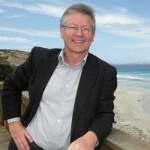 WA move to streamline environmental approvals (0) July 8, 2013 Newly appointed Western Australian mines minister Bill Marmion is throwing support behind junior miners, vowing to streamline environmental approvals processes. 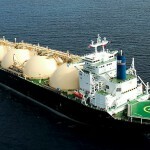 Battle looms over floating LNG push (0) July 8, 2013 A battle is building over the Federal government’s push to for the development of Woodside’s multi-billion-dollar Browse gasfield through FLNG, with West Australian Premier Colin Barnett opposed. 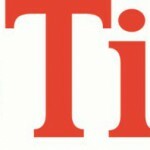 Terramin slashing 115 jobs, shutting zinc mine (0) July 8, 2013 Zinc maker Terramin announced on Friday its Angas zinc mine is going into care and maintenance, with 115 jobs being slashed. 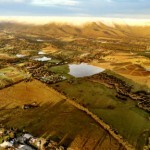 Watchdog hones in as reporting season creeps up (0) July 8, 2013 In the wake of gold miner Newcrest’s reporting scandal the market regulator will increase its scrutiny on company communications during the upcoming reporting season. 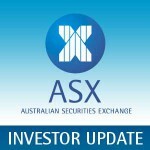 Atlas to develop Mt Webber iron ore mine (0) July 8, 2013 Atlas Iron has received board approval to develop the Mount Webber mine with Altura Mining. Locally sourcing content, a code of practice (0) July 5, 2013 As coal miners continue to cut jobs and undertake operational spending reviews, mining body Queensland Resources Council has designed a guide to help companies allocate regional funding. 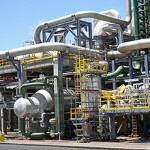 AusGroup wins Alcoa calciner maintenance contract (0) July 5, 2013 Fabrication, construction and services company AusGroup has win a contract for the overhaul and maintenance of Alcoa’s calciner. 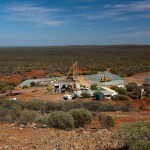 Price slump doesn’t deter Regis gold expansion (0) July 5, 2013 Despite the gold price drop, Regis Resources is forging ahead with a plant production expansion at its Duketon project near Laverton. 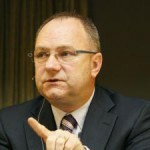 Mining pact won’t solve S.Africa’s conflict (0) July 5, 2013 Analysts see no end in sight for conflict in the South African mining industry. 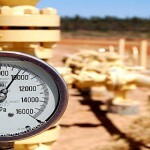 Santos sign up to expand Cooper Basin production (0) July 5, 2013 Santos and Drillsearch Energy have formed a joint venture to fast-track the Western Cooper Gas Project. 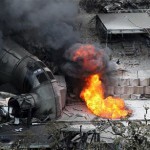 Pike River ordered to pay victim compensation (0) July 5, 2013 An emotional Judge Jane Farish has today awarded compensation to the victims of the Pike River mine explosion in New Zealand. 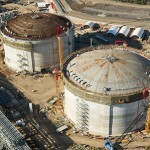 Santos GLNG and QGC sign gas interconnect deal (0) July 4, 2013 Santos GLNG and QGC today signed an agreement that will see them share gas infrastructure, reducing supply risks to both of the Curtis Island LNG projects. 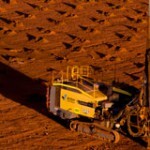 Downer to cut 100 jobs at Fortescue’s Christmas Creek mine (0) July 4, 2013 Contractor Downer Mining will lay off staff at Fortescue Metals Groups’ Christmas Creek iron ore mine in the Pilbara. New mining wastewater treatment from CSIRO (0) July 4, 2013 CSIRO has come up with a new, sustainable treatment for removing contaminants from mining wastewater. 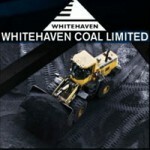 Construction will start at Whitehaven’s Maules Creek mine next week (0) July 4, 2013 Whitehaven Coal has received final approval to develop its $766 million Maules Creek mine. 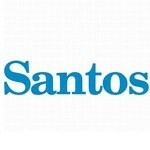 Santos hiring permanent roles for Curtis Island LNG project (0) July 4, 2013 Santos GLNG said it is moving to establish a long-term workforce in Gladstone with plans to recruit 102 people for permanent ongoing roles by August. 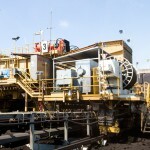 Scaled-back version of Illawarra mine expansion revealed (0) July 4, 2013 Gujurat NRE could cut the life of its Russell Vale coal mine by more than half after signalling changes to its $250 million expansion proposal. 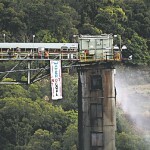 Communities ‘scapegoats’ for mining companies (0) July 4, 2013 Mining companies have copped criticism for making the Hunter communities ‘convenient scapegoats’ for job cuts in the coal sector. Green concerns over river gold mining (0) July 4, 2013 Greens candidate for Cowper NSW Carol Vernon has expressed worry over the possibility of mining in the headwaters of the Clarence River. 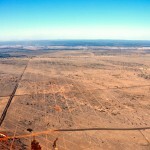 Mt Gordon copper mine up for grabs (0) July 4, 2013 Aditya Birla Minerals is looking for a buyer for its Mt Gordon copper mine in Queensland which is set to sell for around $250 million. 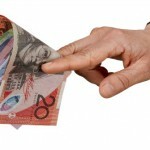 Top tier miners’ pay packets still heavy (0) July 4, 2013 A key salary survey has revealed chief coal mine managers are taking home about the same pay packet as Federal Opposition leader Tony Abbott. 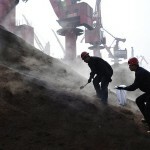 China exploits cheap mining assets as stocks plunge (0) July 4, 2013 China’s state-owned private companies and enterprises will take advantage of weak equity and asset values in the resources industry by accelerating acquisitions and investments. 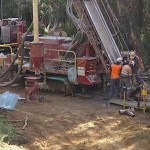 WA gold miner goes under, more jobs lost (875) July 4, 2013 The gold sector has taken another hit with WA gold miner Apex Minerals going into administration. 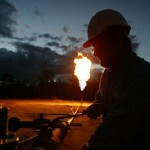 US Judge dismisses oil payments disclosure rule (0) July 4, 2013 A federal judge in the United States has rejected a securities rule that asked oil and gas companies to disclose payments made to foreign companies from projects. 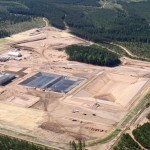 Pluto LNG shutdown impacts Woodside production (0) July 3, 2013 Woodside has downgraded its annual production estimates after a technical glitch forced the temporary shutdown of its Pluto LNG plant. 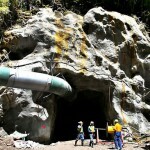 Freeport mine collapse will not hamper contract talks (0) July 3, 2013 A fatal tunnel collapse at a copper and gold mine in Indonesia should not hamper contract negotiations with America’s Freeport McMoRan Copper and Gold, a government negotiating team said. PPE stolen from Perilya mine (14) July 3, 2013 The CFMEU said it is disturbed about reports PPE is being stolen from the Perilya mine at Broken Hill. 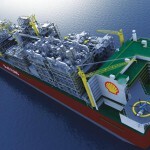 Prelude project will inject $45bn to Australian economy: Shell (0) July 3, 2013 Shell say their Prelude floating LNG project will contribute $45 billion to the Australian economy over the life of the project $12 billion of which would be tax payments. 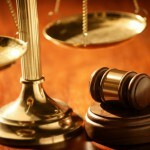 Miner makes $1m claim for mine site injuries (0) July 3, 2013 A former Anglo Coal employee has launched legal action, suing the company for more than $1 million for injuries sustained in a 2009 mining accident. 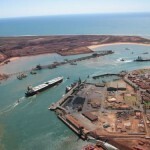 Port Hedland breaks iron ore export records (223) July 3, 2013 Port Hedland has posted another record breaking year for iron ore exports which are up by 40 million tonnes. 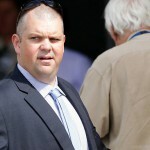 Wright Prospecting to have its day in court (0) July 3, 2013 A judge has declared mining magnate Gina Rinehart’s Hancock Prospecting must go to court to settle a mine ownership conflict with the family of her father’s previous partner. 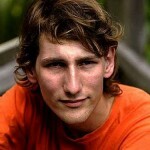 Activist charged over Whitehaven hoax (0) July 3, 2013 Infamous activist Jonathan Moylan has been charged over a hoax press release which temporarily wiped more than $314 million off the value of Whitehaven Coal. 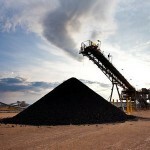 Coal waste to be reused for biofuel (0) July 3, 2013 One of the biggest coal-fired power stations in Australia is looking to use greenhouse gas emissions emitted from coal to generate biofuels in a bid to lower its carbon cost. 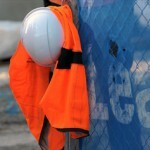 Hundreds expected to protest over QLD job cuts (0) July 2, 2013 Hundreds of people are expected to take the streets of Brisbane tomorrow to protest against the latest round of job cuts in Queensland’s mining sector. 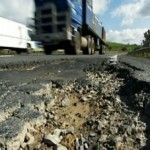 Tremor probably a mine blast, seismologists say (0) July 2, 2013 Tremors were recorded west of Mackay in north Queensland around 4:30pm yesterday near the Hail Creek Mine in the Bowen Basin. BHP fast tracks iron ore modernisation (0) July 2, 2013 BHP Billiton is fast tracking the modernisation of its Pilbara iron ore division, coinciding with the launch of its new remote operation centre in Perth. 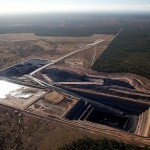 Kimberley coal project sold for $21m (0) July 2, 2013 Rey Resources has struck a deal to sell its Duchess Paradise coal project in the Kimberley to Hong Kong’s Crystal Yield Investments for $21 million. 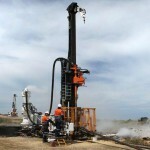 Forge Group wins explosives plant construction contract (0) July 2, 2013 The Forge Group has won the contract to build the Burrup technical ammonium nitrate production facility near Karratha. 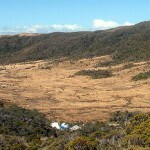 Iron ore mine battle heads to Federal Court (0) July 2, 2013 The battle to stop a mine development in Tasmania’s Tarkine region has begun in the Federal Court as an environmental group challenges the approvals process. 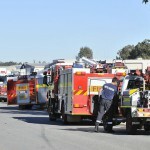 WA mining lab fire, workers evacuated (0) July 2, 2013 A fire in an extraction filter at a commercial laboratory in Maddington has prompted the evacuation of about 50 workers. 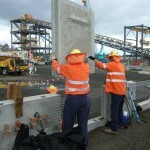 29,000 jobs at risk under ‘broken’ planning system (0) July 2, 2013 The NSW Minerals Council has said project deferrals and postponements of 12 months or more will jeopardise 29,000 jobs across the state and result in $10.3 billion in lost investments. 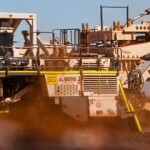 Flinders slashes jobs, attacks FMG (0) July 2, 2013 Iron ore aspirant Flinders Mines has cut jobs and restructured the mining plan at its Pilbara Iron Ore project. Wolf awards CA Blackwell tungsten mining contract (0) July 2, 2013 Australian miner Wolf Minerals has awarded CA Blackwell a $140 million contract for its Hemerdon tungsten project. 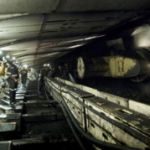 Illawarra coal miner fined $8.4m after missing carbon deadline (0) July 2, 2013 Gujarat NRE has been ordered to pay $8.4 million for failing to report thousands of tonnes greenhouse gas emissions. 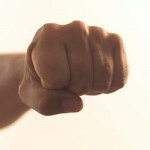 Man jailed for assault on woman at WA mining camp (0) July 2, 2013 A mineworker has been jailed for at least seven months for punching his “defenceless” girlfriend at a mining camp last year. 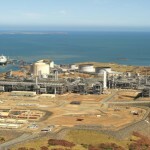 Collaboration is key for LNG: Santos (0) July 1, 2013 A senior Santos executive has warned rising development costs could hamstring the LNG industry unless Australian oil and gas companies work together to process gas. 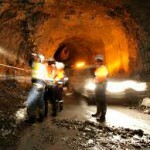 Leighton lose Challenger gold mine contract (0) July 1, 2013 Leighton have lost a contract to provide the full range of underground mining services at the Challenger gold mine, a project worth an estimated $275 million. 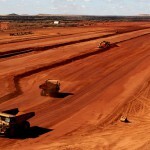 BHP looking to cut Pilbara contractors (0) July 1, 2013 Iron ore operations in the Pilbara are set for a shake up as BHP renew efforts to cut costs by moving more service contracts in-house. 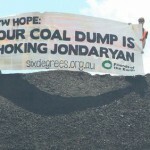 NSW dumps ‘dud’ Cobbora coal mine (0) July 1, 2013 New South Wales Treasurer Mike Baird said he has avoided the ‘dud deal of the century’ by dumping the government’s obligation to develop and operate the Cobbora coal mine. 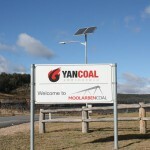 Businesses in favour of Moolarben mine expansion (0) July 1, 2013 A majority of Mudgee businesses have backed plans by Moolarben Coal to extend its mining operations by 180 hectares, extending the life of the mine to 2033. 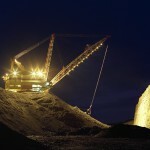 QLD coal project on the market as coal price drops (0) July 1, 2013 Brazilian mining giant Vale is selling a Queensland coalmine after jobs losses and asset writedowns at its Australian ventures. 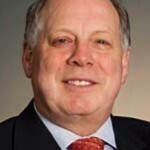 Boart revises earnings expectations down (0) July 1, 2013 Drilling company Boart Longyear has slashed its full-year earnings forecasts as the mining sector continues to soften. Students get a real-life dose of mining (0) July 1, 2013 A group of hopeful Queensland Minerals and Energy Academy high school students from all over the state gave presentations in Newcastle to 20 Xstrata engineers and senior mine workers. 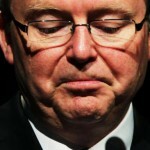 Gray remains resources minister, new environment minister announced (0) July 1, 2013 Federal resources minister Gary Gray will keep his portfolio under a Rudd run Labor government. 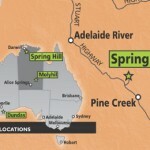 Hunter mines want buffer from job cuts (0) July 1, 2013 The New South Wales Minerals Council has blamed the state’s ‘broken’ planning system for the current slowdown in the Hunter’s coal mining sector. 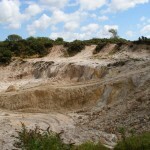 QLD sand mining set to reignite Green debate (0) July 1, 2013 The QLD state government is extending sand mining leases in North Stradbroke Island, potentially setting off an environmental stoush. 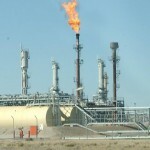 Gas not much greener than coal (0) July 1, 2013 New research revealed gas-fired power generation will not be cheaper than coal and its emissions will be only slightly lower than coal. 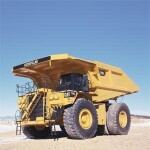 Caterpillar supplier WesTrac axes 350 jobs (0) July 1, 2013 Caterpillar supplier WesTrac will cut 350 jobs as a result of a weaker demand from the resources sector. 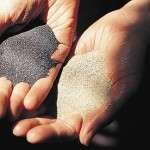 Additive manufacturer 3D Systems partners with asteroid miner (0) July 1, 2013 Planetary Resources and 3D printing company 3D Systems have announced a partnership this week, working towards the goal of mining asteroids in space. 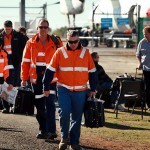 Body count: 1000 mine jobs gone in a week (0) June 28, 2013 A slew of mining job cuts in Queensland coalfields this week has seen the tally exceed 1000. Pike River safety laws pass first reading (0) June 28, 2013 Legislation to tighten New Zealand’s mining health and safety controls has passed its first reading in Parliament. 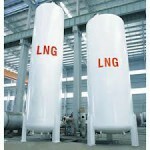 The world’s first floating LNG plant taking shape: Shell (0) June 28, 2013 Shell said the development of the world’s first ever floating LNG project is taking shape, with the company confident production will begin in 2016. 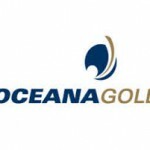 Struggling gold price forces early mine closure (0) June 28, 2013 Plummeting gold prices is hitting gold miners hard, with OceanaGold announcing its Reefton mine in New Zealand will be transitioned into care and maintenance mode two years early. 130 jobs on the line at gold mine (0) June 28, 2013 130 workers’ jobs are at risk as receivers visited Apex Minerals’ Wiluna mine on Wednesday to decide the next course of action on the loss-making gold operation. 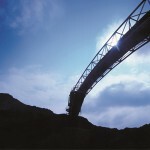 Export volumes hit by coal downturn (0) June 28, 2013 Port Waratah Coal Services is feeling the pinch of the coal downturn, confirming it will ship less coal this year. 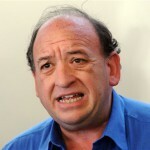 Rudd cops flack from mining boss (0) June 28, 2013 Atlas Iron chairman, David Flanagan has spoken out against self fulfilling prophecies blasting prime minister Kevin Rudd’s comments about an end to the mining boom. 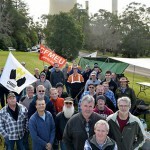 CFMEU accused of union thuggery (0) June 28, 2013 Victorian Deputy Premier Peter Ryan has slammed the CFMEU for taking industrial action at the Yallourn power station, accusing the union of thuggery. 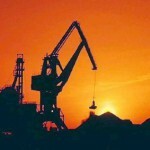 Construction on rocky grounds as mining investment falls (0) June 28, 2013 There has been a slump in investment in the construction industry as a number of mining projects were put on ice this year. 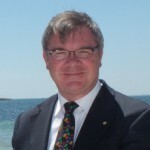 Barrick true to its word, cuts more jobs (0) June 27, 2013 Barrick Gold has continued to cut jobs, retrenching another 32 jobs from its Perth head office yesterday. Jobs on offer as QGC hire 15 people daily (0) June 27, 2013 QGC are holding a recruitment information session in Gladstone tonight as the company ramps up efforts to become Queensland’s first LNG exporter. 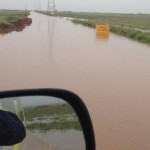 Storm hammers down on the Pilbara (0) June 27, 2013 An intense tropical low which formed off the Pilbara cost yesterday brought unseasonal heavy rainfall and wild storms to the region. Landslip at Ellendale diamond mine (0) June 27, 2013 Kimberley Diamonds has seen a wall slippage at its Ellendale mine, forcing it to temporarily suspend operations. 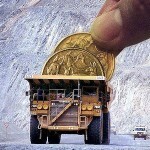 Miners hoping for exploration leg-up with Coalition (0) June 27, 2013 Australia’s resources sector is optimistic of the initiation of tax concessions that will give a leg up for exploration activity if the Coalition wins the election. 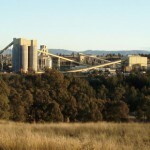 450 jobs slashed from GlencoreXstrata workforce (97) June 27, 2013 GlencoreXstrata has announced that a cut back in production will see 450 people from Newlands and Oaky Creek mines lose their jobs by the end of 2013. 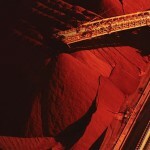 Mining exports down $16bn (16) June 27, 2013 Lower commodity prices will shave $16 billion off mining and energy exports this year, according to a government commodities and economics researcher. 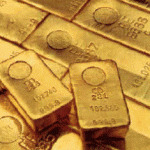 Gold price hits a three-year low (5) June 27, 2013 Gold prices have dropped to a three-year low as the precious metal market continues through a massive correction phase. 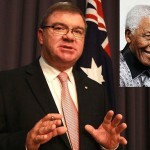 Gary Gray apologies for Mandela death comment (0) June 27, 2013 Federal resources minister has apologised after incorrectly telling the Minerals Council of Australia’s official dinner that Nelson Mandela had died. 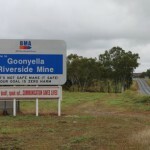 Downer cut 185 jobs from BMA’s Goonyella mine (0) June 26, 2013 Downer have announced is it cutting 185 jobs from BMA’s Goonyella Riverside coal mine in Moranbah. 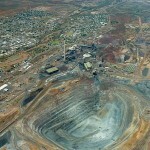 BHP chief’s pay 200 times the average Australian (0) June 26, 2013 BHP Billiton chief’s pay packet is 200 times more than the average Australian. 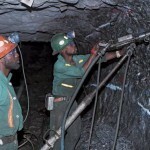 S.Africa mining union demands double wages (825) June 26, 2013 A militant mining union in South Africa is insisting on a 100 per cent rise in sectoral wages. 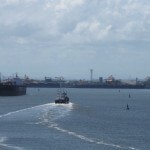 Dudgeon Point Coal Terminal delayed as coal market slides (31) June 26, 2013 Poor conditions in the coal industry continue to hamper mining developments as North Queensland Bulk Ports delay their Dudgeon Point Coal Terminal project. 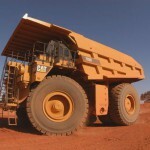 Mining subsidies over $4.5b: Australia Institute (0) June 26, 2013 Federal government subsidies to the mining sector has risen by half a billion dollars over the past year, according to the Australia Institute. Locked-out Yallourn workers set up camp outside site (0) June 26, 2013 Workers locked out of Yallourn Power Station have set up a protest camp outside the facility in a move they say could last for months. 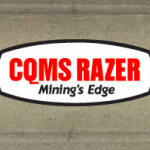 Mining manufacturer blames downturn for job cuts (0) June 26, 2013 Manufacturer CQMS Razer will stand down most of its Maryborough foundry workforce from July 1 to August 13. Saxon Energy worker dies on site (58) June 26, 2013 A 21-year-old Saxon Energy worker has died at Rig 185 at the Fairview Santos GLNG operation site. 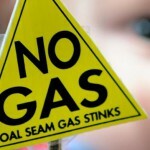 Minerals Council rubbishes Greens’ fossil fuel policy (0) June 25, 2013 The New South Wales Minerals Council has hit back at the Greens, saying their energy strategy would ‘slash jobs and trash the economy’. Miner’s leg injured at Dendrobium mine (0) June 25, 2013 A miner at Dendrobium mine sustained leg injuries after he was hit by a huge lump of coal yesterday afternoon. 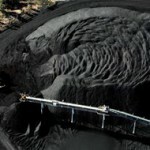 Peabody Energy slashes more than 400 contractor positions across its coal mines (4) June 25, 2013 Peabody Energy has announced it is drastically cutting the number of contractors across its Australian coal mines. 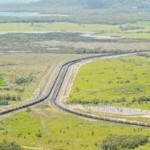 GVK unfazed by gas boom’s impact on coal (0) June 25, 2013 Mining giant GVK is going ahead with its $10.6 billion planned projects west of Rockhampton despite concerns the gas boom will jeopardise coal. 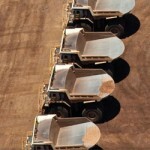 Government hasn’t spent mining revenue wisely: Anglo American (0) June 25, 2013 Anglo American has called on government to repair the reputation of Australia’s business sector, saying the mining tax debate has caused reputational damage. Barrick axes another 100 jobs (0) June 25, 2013 Gold mining major Barrick Gold has announced further job cuts with plans to axe 100 jobs at its corporate offices in Toronto. 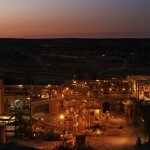 Power shortage at Apex mine (0) June 25, 2013 Apex Minerals has been hit with more trouble after a mechanical failure has left its Wiluna gold mine with power shortage. 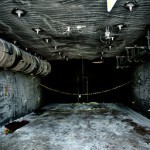 The company is looking for more cash injection. 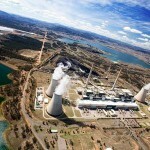 Greens want to put the kibosh on NSW power stations (0) June 25, 2013 The NSW Greens are looking to close all large-scale fossil fuel power stations by 2031, claiming politicians are the only obstacle to a state run entirely on renewable energy. 37 dead in African gold mine collapse (0) June 25, 2013 At least 37 miners have died after a gold mine collapsed in the Central African Republic, according to a spokesman for the presidency. 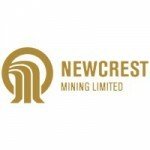 150 PNG Newcrest jobs cut (0) June 25, 2013 Newcrest is slashing 150 local and expat jobs at Papua New Guinea’s Lihir gold mine. Xstrata cuts Ravensworth jobs (6) June 25, 2013 The newly merged GlencoreXstrata has axed 46 workers at its Ravensworth mine in the Hunter Valley. 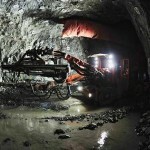 Gold miner looks to freeze wages, shorten mine life (0) June 24, 2013 Australian gold miner OceanaGold is considering freezing wages for hundreds of mining employees at two of its New Zealand mines. 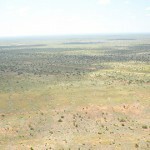 Company applies for gold mining approval in Northern Territory (0) June 24, 2013 Adelaide-based resource company Thor Mining have lodged a notice with the Northern Territory Government to commence gold mining operations at Spring Hill mine northwest of Pine Creek. 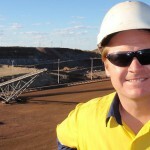 WA watchdog cracking down on mine safety (0) June 24, 2013 Western Australia’s resources regulatory body is cracking down on injuries and ‘near misses’ in the Midwest mining sector after two incidents at Karara mine in the past couple of months. Green signal for some Freeport operations (0) June 24, 2013 The Indonesian government has given approval for Freeport McMoRan to resume some operations at the world’s second biggest copper mine, according to a senior company official. 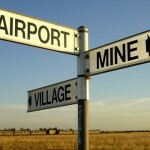 FIFO inquiry recommendations need to be implemented: Isaac Mayor (0) June 24, 2013 Queensland Councils have been urged to lobby the Federal Government to adopt all the recommendations from the recent FIFO report as a matter of urgency. 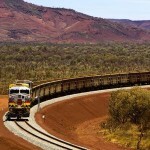 BC Iron eyeing Pilbara mine assets (0) June 24, 2013 BC Iron is looking to grow and the company’s chief is eyeing good deals in the Pilbara as iron ore prices fall. 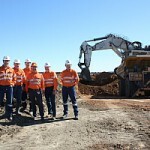 Leighton secures Kings mine contract (19) June 24, 2013 After a tough year, mining contractor Leighton Holdings has secured its largest ever single contract with Fortescue Metals Group awarding a $2.8 billion contract to the company. 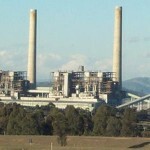 Workers locked out of Yallourn Power Station, fire closes generators (0) June 24, 2013 Seventy five workers been locked out of Yallourn Power Station indefinitely following industrial action on Friday, while a fire at the plant has closed down three generators. Barrick cuts U.S jobs (143) June 24, 2013 The world’s largest gold miner, Barrick Gold has sacked 55 workers in Utah and Nevada off the back of falling gold prices and struggling stock. 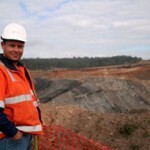 Mining looking good despite employment dip (0) June 24, 2013 The Australian Bureau of Statistics has released data saying the mining sector’s prospects look positive despite a 2 per cent drop in employment. 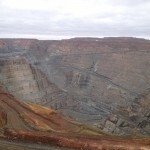 Rio to keep diamonds business (0) June 24, 2013 After pushing for the potential divestment of its global diamond assets, Rio Tinto has now opted to retain its assets. Thousands expected at Tasmanian pro-mining rally (10) June 24, 2013 A pro-mining rally in Tasmania has been overwhelmed by the levels of support it has received. No Joy for Unanderra workers as mining machinery plant shuts down (0) June 24, 2013 The Australian subsidiary of mining giant Joy Global is closing its Unanderra plant, with the Australian Manufacturing Workers Union claiming that 50 jobs will be lost as a result. 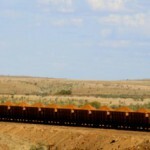 Fortescue downgrades iron ore targets, pushes asset sale (0) June 21, 2013 Fortescue Metals Group has downgraded its iron ore production targets and pushed back the timing of its asset sales. 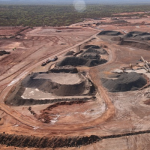 Allmine Group goes under as downturn takes hold (0) June 21, 2013 The downturn in mining is claiming more victims with the collapse of Allmine Group. Pike River trial moved to Wellington (0) June 21, 2013 A judge has ruled former Pike River Coal boss Peter Whittall would be significantly compromised if proceedings went ahead in Greymouth. 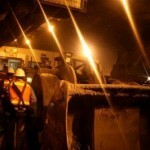 Indonesia looks at resuming Freeport mine (0) June 21, 2013 Indonesia’s government is contemplating restarting open-pit mining at Freeport McMoran the Minister of Energy and Mineral Resources said on Tuesday. Eagle Downs mine cuts jobs, may shut mine (11) June 21, 2013 Eagle Downs coal mine, a joint venture between Aquila and Vale, has announced it is cutting jobs and putting the mine into care and maintenance. 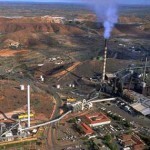 GVK hits back at Alpha mine Greenpeace claims (0) June 21, 2013 Indian conglomerate GVK has hit back against criticism of its environmental credence after Greenpeace released a report saying its coal project in Queensland is unviable. 200 jobs to go at two Hastings Deering sites (0) June 21, 2013 Mining equipment company Hastings Deering is cutting 200 jobs across its Rockhampton and Mackay sites, blaming the slowdown in the resources sector. 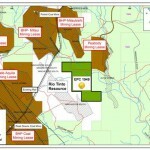 QLD coal mine opts for mainly FIFO/DIDO workforce (0) June 20, 2013 The proposed half-a-billion dollar Minyango underground mine south of Blackwater will not hire permanent contractors. 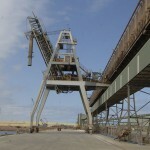 35 jobs axed as QLD’S Monto mine closes (0) June 20, 2013 More than 35 jobs will go at a Monto mine as Belridge Enterprises ceases operations at the Goondicum ilmenite mine next week. Adapt or shut shop: Mastermyne head (0) June 20, 2013 Managing director of coal mining services company Mastermyne Tony Caruso has issued a blunt warning for its company: react and adapt, or shut shop. 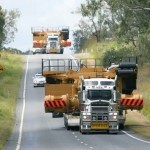 Mackay ring road can’t handle wide loads (0) June 20, 2013 There are fears the proposed Mackay ring road will not be able to handle wide loads based on existing plans. 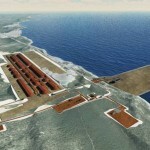 Oakajee fed funding unusable (0) June 20, 2013 The WA State Government cannot use the $339 million Federal funding allotted for the suspended Oakajee port project for anything else. Strikes at Port Waratah Coal (0) June 20, 2013 Workers have announced they will carry out strike action at New castle’ Port Waratah Coal Services tonight. 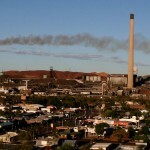 Mount Isa copper driving sustainability (0) June 19, 2013 More than 570 proposals have been put forward since Mount Isa Mines’ plan to improve business sustainability in the Mount Isa Copper Operations (MICO) since 2011. 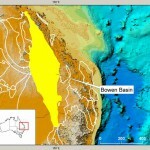 Liberty granted promising coal tenement in Bowen Basin (0) June 19, 2013 After four years Perth based explorer Liberty has been granted a coal exploration licence in Queensland’s Bowen Basin. 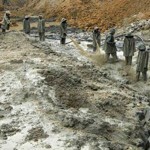 Illegal miners’ arrest won’t affect ties, China tells Ghana (6) June 19, 2013 A senior Beijing Foreign Ministry official said on Tuesday the arrest of 200 illegal Chinese gold miners should not weaken ties with Ghana. 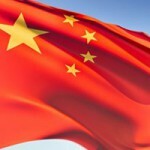 Chinese firm acquires Stonewall Resources (0) June 19, 2013 Chinese energy company Shandong is purchasing a subsidiary of Australian goldminer Stonewall Resources. Mayor calls on BMA to locally source employees (0) June 19, 2013 A proposed BHP Billiton Mitsubishi Alliance (BMA) Coal Operations’ mine extension has been declared a coordinated project by Queensland’s State Coordinator-General. 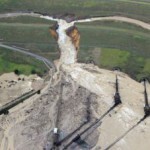 Yallourn coal mine floods again (2) June 19, 2013 The Yallourn brown coal mine in Victoria has again been inundated after nearly a week of heavy rain. 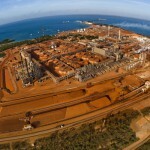 Rio Tinto cuts more WA iron ore jobs (0) June 19, 2013 Mining giant Rio Tinto is cutting more staff at its Western Australian iron ore operations. 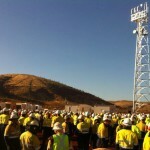 Revived Red Hill mine to create 3500 jobs (0) June 19, 2013 The Red Hill mining project in Central Queensland that was dumped last year has been revived, and could generate 3500 jobs. Coal miner named Penthouse Pet (0) June 19, 2013 A Central Queensland underground coal mine worker will next month grace the cover of Penthouse Magazine. 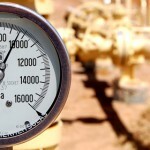 RBA pessimistic as resource boom fades (0) June 19, 2013 The Reserve Bank of Australia has expressed concern increasing global supplies of cheap energy mean future gas projects may become less feasible. 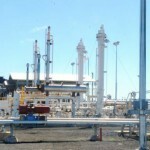 Queensland LNG industry employs 30,000 people (0) June 18, 2013 As Queensland’s CSG and LNG sector ramps up to meet first export, the industry now employs close to 30,000 people and is worth than $60 billion plus in investment. 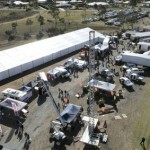 Mining expo generating $6m in QLD (0) June 18, 2013 With the annual Surat Basin Energy and Mining Expo starting tomorrow, coordinators believe the two-day event will bring $6 million into the economy. 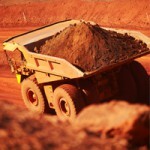 Mining slowdown hits Maitland rental returns (0) June 18, 2013 The effect of the mining slowdown is seeping into the Hunter Valley rental market with rental returns curbed in Maitland during the past year. 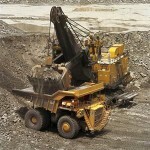 Mining productivity falls: report (0) June 18, 2013 Labour productivity growth in mining has slumped almost 6 per cent in the year to March. 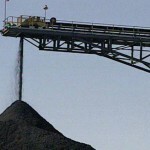 Coal India to acquire $4 billion worth of Australian assets (0) June 18, 2013 An Indian coal company is looking to acquire two Australian companies in a deal worth more than $4 billion. 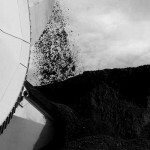 Leave coal in the ground, save the planet: climate change report (0) June 18, 2013 A new report calling on Australian coal to be left in the ground to combat climate change has been labelled as ‘taxpayer-funded environmental activism’ by the industry. 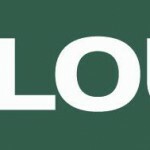 Clough on the hunt for takeover targets (0) June 18, 2013 Western Australian contractor Clough is on the look out for takeover opportunities, claiming the mining slowdown has left the services industry brimming with consolidation prospects. 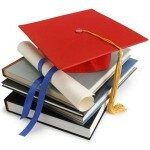 Mum sees upside in FIFO (0) June 17, 2013 A mum in WA is starting a website and a consultancy, FIFO Success, to assist couples in choosing on a FIFO lifestyle and whether it is right for them. 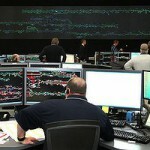 Rio to raise $3bn in bond issue (0) June 17, 2013 Rio Tinto’s American finance division has priced $US3 billion of fixed and floating rate bonds. 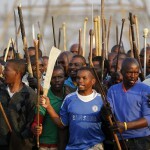 4000 strike at South African platinum mine (0) June 17, 2013 The trend of violence and unrest continues in the South African mining industry as up to 4,000 mineworkers were on a sit-in strike at an Anglo-American Platinum mine on Friday. 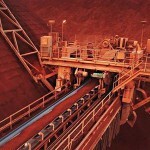 3D printing could be miners’ “batman belt” (0) June 17, 2013 A speaker at last week’s 3D printing expo in Mackay predicted that 3D printing machines could solve the problem of needing to have replacement parts sent in to mining sites. 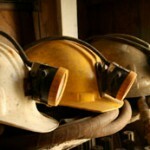 Study shows lead concerns at Mt. 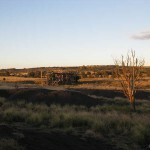 Isa (0) June 17, 2013 A new study has found a categorical link between mining activities in Mount Isa and lead contamination in local children. 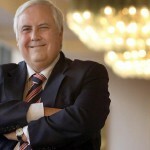 Palmer’s “super Sunday” of candidate announcements and proposed policy (0) June 17, 2013 Mining magnate come minor party leader Clive Palmer claims the latest round of Labor leadership speculation has been fuelled by the growing popularity of his Palmer United Party. 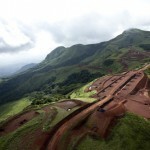 Hope for Rio’s stalled African iron ore project (0) June 17, 2013 Rio Tinto is slightly more optimistic over its stalled Simandou iron ore project after the Guinea government in Africa showed willingness towards the venture. Keech keeps moving (7) June 17, 2013 Australian Mining took a tour of Keech’s Bendigo site recently. 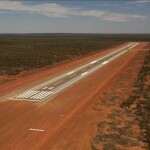 Mitsubishi cuts WA Oakajee project (0) June 14, 2013 Mitsubishi has officially suspended its $6 billion Oakajee port and rail project in Western Australia. 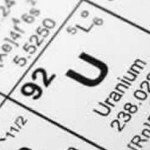 Delay in licences not deterring uranium mining hopefuls (0) June 14, 2013 The chief of uranium explorer company Marmota Energy says a seven-month delay in the New South Wales Government’s decision to issue exploration licences is reasonable. Writedown of Tiwai Point aluminium smelter (0) June 14, 2013 Rio Tinto has written down the value of the Tiwai Point aluminium smelter to just $14.8 million from $806.9 million. 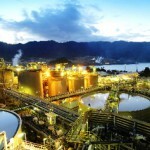 PNG leader fearful of Newcrest slump (0) June 14, 2013 Papua New Guinea’s Prime Minister is apprehensive over the problems facing Newcrest Mining and its repercussions for the country’s economy. Caterpillar stands against homosexual discrimination (0) June 14, 2013 Heavy equipment manufacturer Caterpillar has cut funding to Boy Scouts of America because the organisation discriminates against homosexuals. 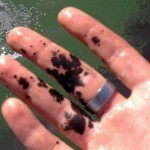 Coal fines found in Gladstone Harbour (0) June 14, 2013 Gladstone Port Corporation has revealed a black substance found in the harbour to be coal fines. 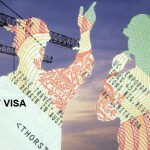 Roy Hill may not need foreign workers (0) June 14, 2013 The boss of Gina Rinehart’s Roy Hill mine says with a slowing economy, the use of workers on 457 visas may not be needed for the project. Employees launch petition over drawn out mine approval (0) June 13, 2013 A number of Anglo American’s Drayton mine employees have launched a petition urging the New South Wales Government to speed up approvals for the Drayton South project. Groote Eylandt seabed mining sinks (13) June 13, 2013 Traditional owners have won a fight to ban seabed mining around Groote Eylandt in the Gulf of Carpentaria after the Northern Territory Government issued a total ban. 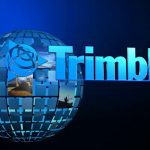 Trimble acquires NZ’s technology company (0) June 13, 2013 Technology and navigation company Trimble has purchased Auckland technology company Actronic Holdings. 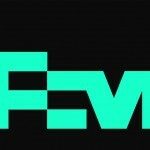 FMG’s hush-hush costings angers Flinders (0) June 13, 2013 Fortescue Metals Group’s Infrastructure arm has drawn ire from Flinders mines for being secretive over its costing details. 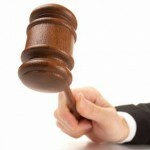 Santos to be prosecuted for Pilliga pollution (1) June 13, 2013 The NSW government has decided to prosecute Santos for the spill of untreated water at its Pilliga drilling site in the north-west of the state. 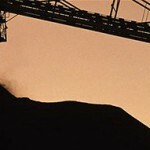 Downturn ‘shock to the system’ for mine workers (0) June 13, 2013 After being accustomed to a decade of the mining boom, experts believe mineworkers and managers will find it difficult to adjust to a climate of lower commodity prices. Oz Minerals flags job cuts (0) June 13, 2013 Prominent Hill mine owner OZ Minerals will lay off employees from its South Australian operations in a bid to cut discretionary spending. Focus dumps 22 gold jobs (0) June 13, 2013 The decision to shut Focus Minerals Mount gold mine has seen another 22 jobs cut from central Western Australia. 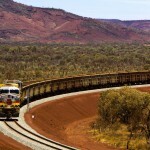 Hundreds of juniors at risk of collapse, WA government steps in (0) June 13, 2013 Hundreds of mining juniors and explorers are at risk of going under before the year’s end, a new report has warned. 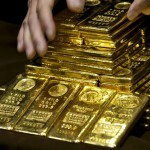 Alacer Gold selling off its Australian assets (0) June 13, 2013 Alacer Gold has announced its intent to sell off its Australian assets so it can focus on its gold mining operations in Turkey. 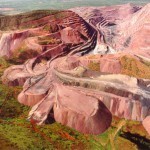 Rio sells off Eagle asset (0) June 13, 2013 Rio Tinto has struck a $US325 million cash deal with Lundin Mining to offload its Eagle project located in the Upper Peninsula of Michigan in the United States. 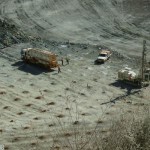 NZ’s coal mine extension under threat (0) June 12, 2013 An environmental group is attacking the extension of a mine in New Zealand’s west coast, saying the company’s resource consent has elapsed. 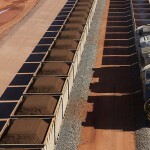 Proponents shortlisted for iron ore port expansion (0) June 12, 2013 Esperance Port has shortlisted two corporations to provide proposals on the development of a new multi-user iron ore export facility. 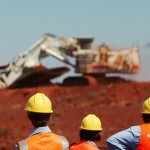 Finance sector downbeat on mining sector (0) June 12, 2013 The outlook continues to be gloomy for mining, with National Australia Bank rating it the most pessimistic industry of the economy. 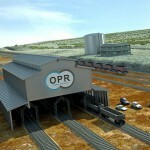 GlencoreXstrata rumoured to be considering teaming up with Rio (0) June 12, 2013 Global mining heavy weight GlencoreXstrata is reportedly running the numbers on the viability of combining some of its Australian coal operations with mines run by Rio Tinto. 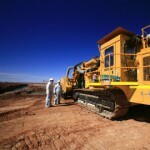 NRW next in line for profits downgrade (0) June 12, 2013 West Australian earth-moving firm NRW Holdings joins a list of mining services companies announcing a profit downgrade. 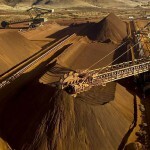 Mining levels off faster than expected (0) June 12, 2013 Mining has levelled off a year before expected, Western Australia’s top mining lobby group claims.